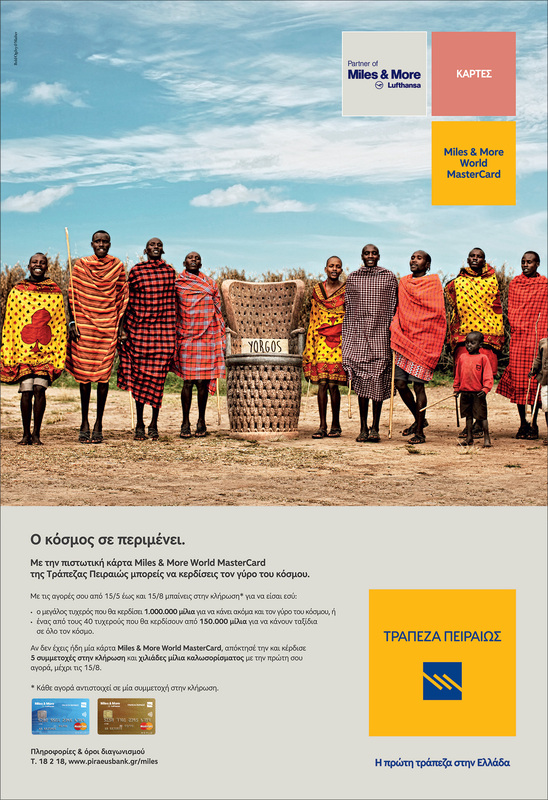 Within the framework of the Miles & More World MasterCard promo activity by Piraeus Bank, we came up with a campaign for the contest Miles & More World MasterCard credit card. More specifically, the big prize was 1,000,000 miles for one big winner, and 150,000 miles for 40 more winners. An interesting thought that came up was that 1,000,000 miles could even allow for a world tour! That's exactly what we wanted to communicate to everyone. We wanted to make them think that a dream journey could become real any moment by conveying the enthusiasm, the experiences and the beauty that the prospect of such a long and charming trip involves. 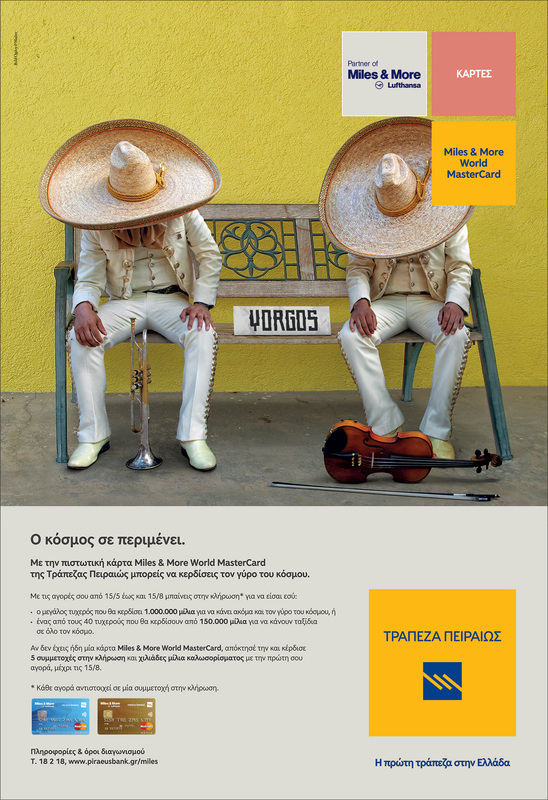 We wanted to say to everyone: “The world is waiting for you”. 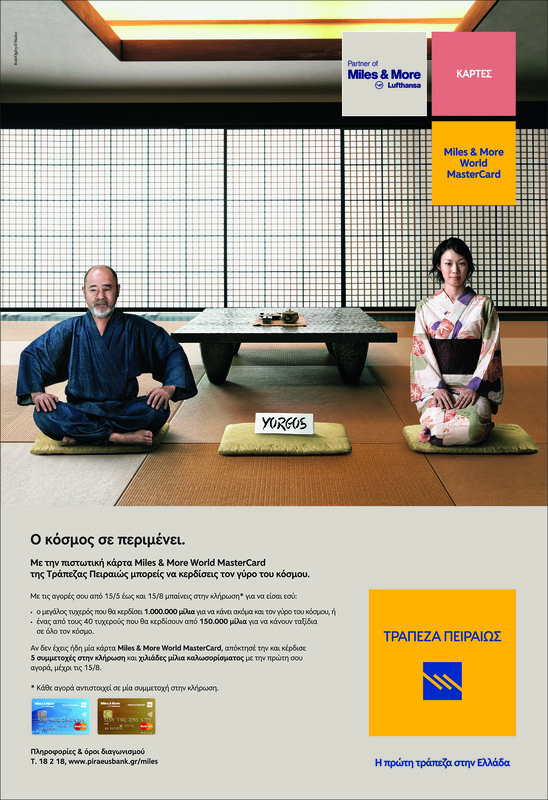 The major vehicle of our communication was the big winner “Giorgos”, eagerly expected all over the world.